A clean and professional red template for the Admin CP. 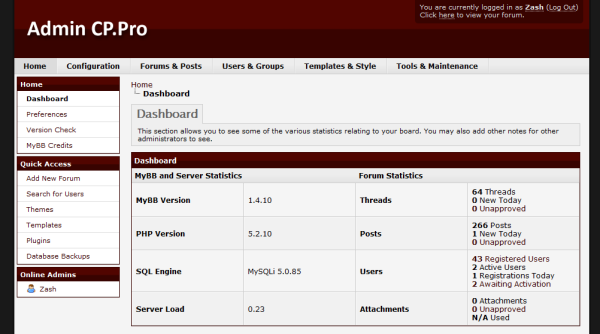 Admin CP.Pro Red is a theme for the MyBB 1.4 Admin CP. It is clean and professional, yet simple and easy on the eyes. Upload the theme folder into your admin/styles directory, and then select the theme you wish to use under Preferences in your Admin CP. A logo PSD is included.